The cybersecurity industry is facing a recruitment crisis, with the Center for Cyber Safety and Education predicting 1.8 million unfilled positions by 2022. 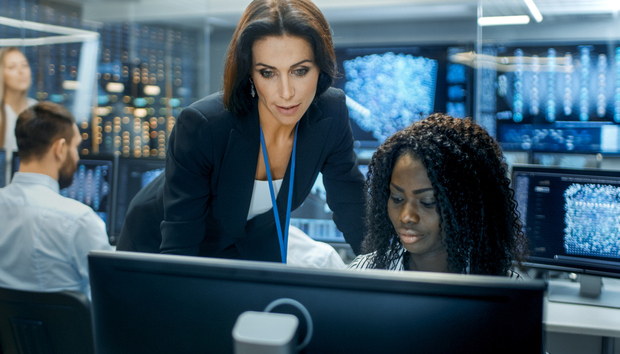 With women currently making up just 7% of the European cybersecurity workforce, many believe the key to plugging this talent gap is to encourage more women into the sector. Debbie Tunstall, Head of Education Programs at Cyber Security Challenge UK, talks about what can be done to attract more women into cybersecurity roles. What is Cyber Security Challenge UK and how did the idea for it come about? There is an alarming gap in the number of skilled security professionals and in this sector, traditional engagement methods do not work. A game-changer was needed, so in 2010, our founder, Judy Baker, worked with the UK government, as well as partners in industry and academia, to create a new initiative focused on getting more people into jobs in cyber security by showcasing their talent and potential. What began as one competition has now expanded to a series of competitions, events and programs to educate future generations of unique careers in cyber security and to help them secure jobs in the industry. « The CMO Files: Thomas Rayas, FutureDial, Inc.